MMA is a proper sport, with a well defined and time tested set of rules. These rules are not malleable for certain situations or personal fan or promoter preference. To suggest otherwise is akin to literally moving the goalposts in a soccer game or allowing mulligans in professional golf. Two good examples popped up on yesterday’s UFC Manchester card. The definition of a grounded opponent is that they have any part of their body aside from the SOLES of their feet in contact with the canvas. Now, this can entail a ‘third point of contact’ if they place a hand or finger on the mat, or it can include a knee down while one foot is placed properly. As Guillard initiated the knees, Pearson’s right leg was front down on the canvas, and even as he lifted his knee, the front of his right foot was still on the mat. This means he was a grounded opponent for the duration of the exchange, as the front of the foot is not the sole of the foot. Some might think that’s a fine hair to split, but have you ever tried controlling your posture, balance or motion from such a position? The first thing you need to do is put your second foot down properly. These rules are about fighter safety and fairness and that takes precedence over the desire for a finish, a highlight reel moment, partisan concerns or the sight of blood. If you are a fan of MMA, you’ll understand that. If you don’t, you’re in the category of the ‘just bleed’ fans we could do well without. What’s worse is if you’re willing to overlook rules and fighter safety because it means your preferred fighter gets the win. On Saturday, we weren’t alone in kinda wishing the Rosi Sexton vs. Jessica Andrade fight would be stopped at any point from the middle of the second round (similar to the Velasquez-dos Santos fight the week before) as Rosi was taking a horrid beating and we didn’t see how that was going to change any time soon. Much has been said about doctors stopping the fight or corners throwing in the towel regarding both of these fights. That’s all rubbish. ONLY the referee can stop the fight. If a corner throws in the towel, the referee is within his rights to throw it back at them, indeed up until 2009 the act of throwing a towel (or any other foreign object) into the combat area should have been unisex by a point deduction. A doctor can be screaming on the outside of the cage ‘STOP THE FIGHT’ and his opinion carries no more weight than the fan two rows behind screaming obscenities. A doctor’s opinion only carries weight once invited into the cage by the referee to asses an injury, and even then it is the referee’s call whether to take that advise. Most referees (I won’t be catty and list the ones who clearly don’t) have a wealth of fighting or at least officiating experience themselves and can tell the difference between rocked by still in the game and out on your feet. Last night, Rosi was getting lit up by her younger, faster, bigger opponent but continued to defend and attack intelligently. If she’d just turtles up or sank to her knees, then a TKO would have been the right call but she didn’t, and continued to attempt to land and evade till the very end. Such heart and chin deserves better than a sympathy stoppage. MMA is a sport which dances a fine line between concern for a fighter’s safety and respect for their skills and heart. The rules as they stand exist to maintain that balance and they are not negotiable. That is the fairness that makes MMA a real sport and not just an excuse for brutality, but still an edgy, emotive sport and not a neutered, banal procession. 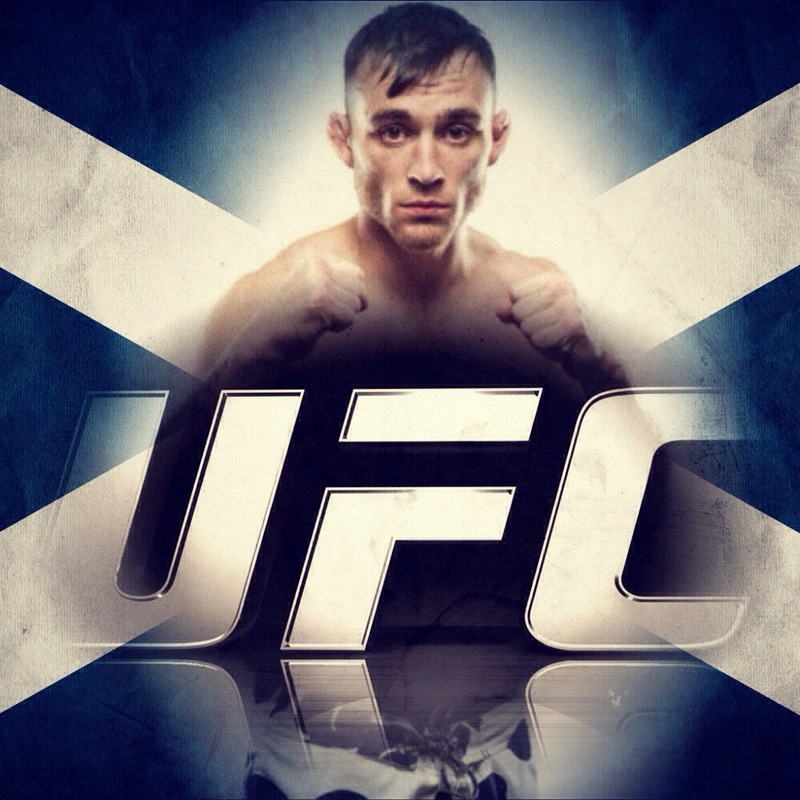 Along with every other MMA outlet in Scotland, we’ve been shouting Robert Whiteford’s name for a while, and it seems the UFC finally noticed and drafted him in as a late replacement for the injured Mike Wilkinson to face Jim Hettes at the upcoming card in Manchester. Coming from a judo background, as evidenced by his twitter handle @FlyinJudoka, his excellent takedown defence, positional grappling and tendency to enter the cage in a Gi, Whiteford is a well balanced fighter who doesn’t conform to the usual American perception of a European fighter (either a striker with a weak grappling game or a submission purist who struggles against more rounded competitors) by being equally happy on his feet, on his back and all points in between. His record displays his preference for using his grappling ability to keep an opponent on the end of his punches and his speedy attacks and boundless cardio have become a calling card. Hell, I’ll let his highlight reel do the talking. The Scots have arrived, be afraid. Robert Whiteford makes his UFC debut on the second Facebook fight on Saturday night, which should air at around 7.30-7.45 UK time. Yes, I’ve been quiet of late, but a stacked card at a reasonable time of day, combined with the debut of the first Scot in the UFC deserves a little shilling. As usual the card has taken some abuse from fans who think we’re being stiffed for big matches and this hasn’t been helped by Michael Bisping dropping out of the main event with an eye injury. However, you could argue that the event got an upgrade as for Light Heavyweight champion Lyoto Machida (19-4) makes his Middleweight debut in Bisping’s place, facing perennial contender Mark Munoz (13-3) in the main event. On the face of it, the headliner remains a striker vs. grappler fight but that does a disservice to Machida’s top notch jiujitsu and Munoz’ dangerous boxing. That said, Machida’s movement and counter striking style offers a very different challenge to Munoz than Bisping’s more forward footed attack and I can see this fight going either way, possibly ending very suddenly. In either case the winner will find themselves at the elite end of the 185lb division, perhaps a win away from a title shot. The co-main event has slugfest written all over it as explosive boxers Ross Pearson (15-6) and Melvin Guillard (31-12-2) will both be looking for a knockout victory. Both are insanely dangerous strikers, but I feel that Pearson is the more measured, well rounded and disciplined fighter and if he can weather Guillard’s initial storm, he could well take control of the fight. In fact, given Guillard’s well recognised glass throat, I wonder what the odds of Pearson getting his first sub victory in the UFC are? Another sure fire barn burner sees undefeated English prospect Jimi Manuwa (13-0) face Blackzillian wrecking machine Ryan Jimmo (18-2) in a bout which is not likely to be held up as a tactical master class. 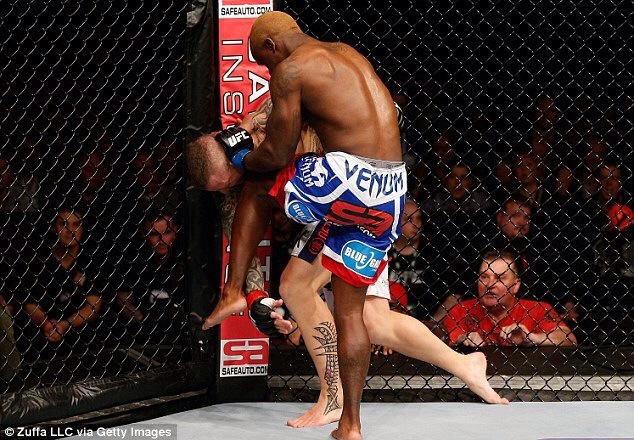 These guys share 18 first round victories – indeed, nobody has lasted past the second against Manuwa to date. The main card is rounded out with TUF:Smashes winner Norman Parke (18-2) vs. Jon ‘Super Saiyan’ Tuck (7-0), Nicolas Musoke (10-2) stepping in at late notice to face Alessio Sakara (15-10) and a very cool flyweight bout between the ever exciting Jon Lineker (22-6) and Portsmouth’s own Phil Harris (22-10). The undercard is also good value, with my choice bouts seeing Rosi Sexton (13-3) vs. Jessica Andrade (9-3), Andy Ogle (9-2) looking to continue his good form against veteran Cole Miller (19-8) and Scotland’s own Robert Whiteford (10-1) making his UFC debut at late notice against fellow judoka Jimy Hettes (10-1). It’s a solid card, full of explosive potential, if a wee bit light on the big names but let’s remember, big names doesn’t guarantee great fights, heart does and this card is packed with it. 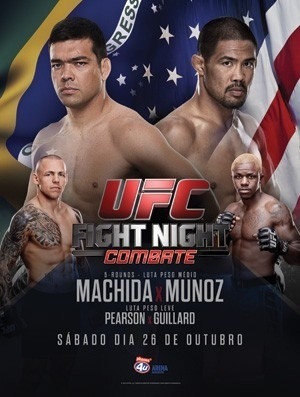 At UFC FIGHT NIGHT: MAIA vs. SHIELDS on October 9, 2013, Palhares won his welterweight bout against Mike Pierce via heel hook submission in 31 seconds. Pierce appeared to tap several times physically and verbally and the ref intervened physically before Palhares let go. Despite being the only submission win on the card, Palhares was denied the Submission of the Night bonus. Managing Director of International Development Marshall Zelaznik announced at the post-fight press conference that the local commission would be investigating the length of time that Palhares held the submission.